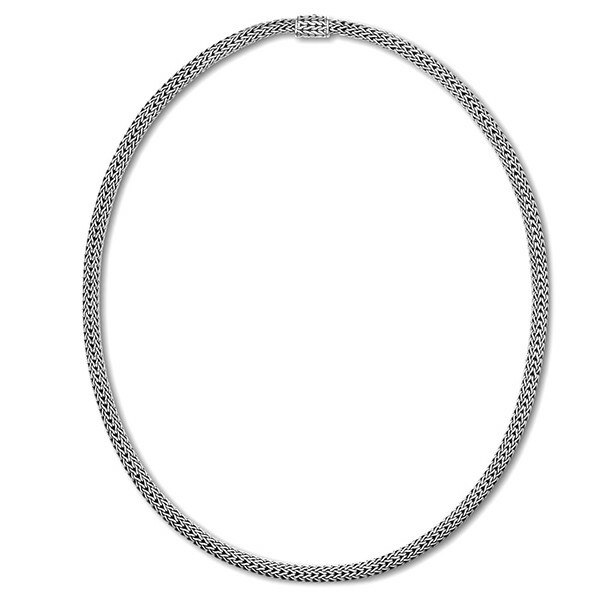 John Hardy's Classic Chain collection features this stunning necklace. Woven with sterling silver links, this 4.75mm necklace is handcrafted with flexibility to drape beautifully about your neck. Even the clasp is crafted with the classic chain motif so that the necklace is streamlined. With several different lengths to choose from, this John Hardy necklace is a basic piece that every woman should have in her collection. Adding John Hardy enhancers will give you additional ways to flaunt your John Hardy style!